Why do I have to wait 10 seconds afer resetting the router? One of the things the tech support people say is "Please unplug your router and wait ten seconds before plugging it again”. Why is this? It’s very common to talk to the tech support guy and listen to the famous “Please unplug your router and wait ten seconds before plugging it again". However, most people don’t know why you have to wait. So, is this just some tech support protocol or is there a real reason behind it? I’ve lost the password of my WiFi router, How to do? Not too long ago I changed my Internet Service Provider and, following the advice I read in the magazine, the first thing I did was changing the WiFi signal password. Current operative systems store wireless network passwords to prevent the user from having to remember them every time they want to Access the Internet. Also, with Windows 8 it is possible to set locations or prioritize a connection over another. If you’re connected to your wireless network and you can Access the Internet, retrieving your password is very simple. In Windows 8, go to Network and Sharing Center from the notifications tray, then click the WiFi network symbol. Then, click on Wireless Network Properties and select the tab Security. Check the option Show password to recover it. Please note this process only works if you can connect to the wireless network because you’re within the router’s range. If you can’t access or you’re somewhere else, you can use software like WirelessKeyView, a simple and free program that stores the passwords of all wireless networks your computer has connected to. You can find it in their official website. It’s annoying when I am working on my computer and suddenly, for no apparent reason, I couldn’t connect to our internet. Besides being annoying, such problems can entail great security risks, vulnerability to data theft, fraud, malware downloads on your equipment and even criminal acts under your Internet account. The first thing to do is protect your home network by configuring your wireless router to use WPA or WPA-2. This procedure may vary according to your service provider; it is necessary to read the instructions in the documentation for your router. 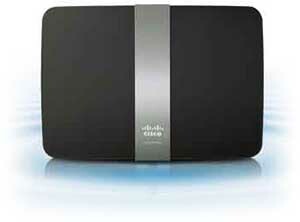 How to Set Up a Wireless Router? There are lots of people who usually end up confused and frustrated when setting up a wireless router. Once they attempt to follow instructions, they only end up paying someone to do the task for them. In this article, you will learn three concepts on how to set it up yourself without using setup CD which comes along with your router. There’s also no need to use any push button or fancy gadget to make setting it up easy. These methods may be easy but won’t usually work as they even keep you isolated from understanding what’s going on. Once you make a simple mistake, you might end up stuck and would ask help from someone. Once you learn setting up a wireless router, you can now understand how to set up other wireless devices in the market such as game consoles, printers and iPads. Video, How to Set Up a Wireless Router?